4/365(+1), a photo by Luca Rossini on Flickr. online shop. It arrived today. 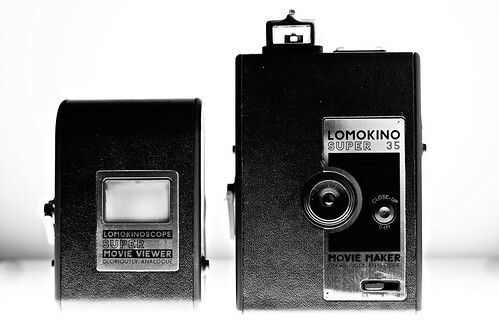 It is composed by the Lomokino (an analogue 35mm film video camera), the Lomokinoscope (an analogue film visor), and 6 film rolls between 400 ISO colour negatives and 50-200 ISO redscales.